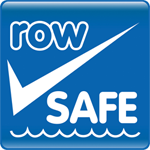 All members should make themselves familiar with, and adhere to the British Rowing Water Safety Code (now known as the Row Safe Code) - just click on the link above or on the logo to the right. You should also take particular notice of the Incident Reporting Guidance and our Water Safety Code which is included in our Insurance Policy. Both document can be viewed by clicking on the links in this paragraph or in the list below. All members must be capable swimmers and should let the Club Secretary know of any health history/problem which might affect them while on the water. No Club boat, including the private boat of a member, must go out or will be allowed to race without displaying the approved Club identity letters and number. Plus the current Mens and Ladies Captains. Before each outing takes place, a risk assessment must be undertaken by two WSOs to determine if conditions are safe to row. This risk assessment takes account of factors including stream, wind, visibility and Red Board warnings. The results of the assessment are noted as a Water Safety Log entry, signed off by two WSOs . Where conditions are considered too adverse for an outing to proceed safely, the WSOs making the assessment, in consultation with other WSOs present may decide to cancel the outing. 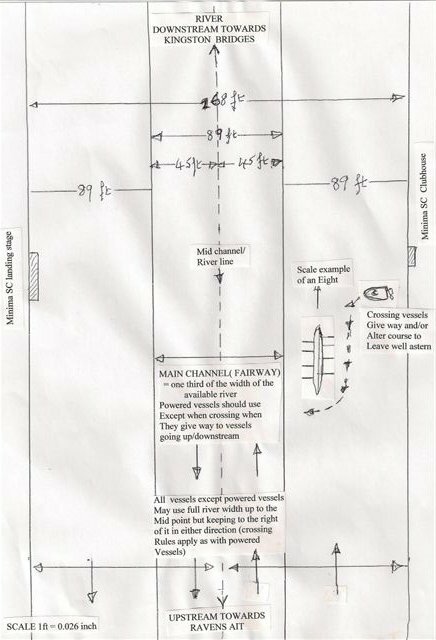 All members, but particularly anyone who steers or coxes a boat should study the guidance below about navigation and collision avoidance. Questions regarding water safety should be addressed to any of the WSOs or to an Officer of the Club. To attempt to explain "who should be where" on the river according to the bye-laws and navigation rules. 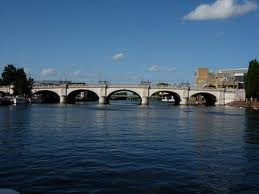 Note however that it is a "netting out" of key rules and should ideally be read in conjunction with the appropriate Environment Agency Bye-laws and Navigation guidance. It should hopefully help current and potential steerspersons and perhaps be of use in sharing views with other Clubs. As a basic scale layout for incident reporting (to fit A4) onto which can be added the required information outlined in the Incident Reporting section of this Water Safety web page. Please note that the section of river used in this example is the Kingston Reach, and of course the layout would need to be adapted in proportion to the ACTUAL location of any incident). Note also that a proportional 8 has been added to give an idea how much room it takes. (8 = approx 23ft wide oar tip to oar tip and 62ft(19m)long). "EVERY vessel shall at all times maintain a proper look-out by sight as well as by hearing as well as by all available means appropriate in the prevailing circumstances and conditions so as to make a full appraisal of the situation and of the risk of collision." "The importance of maintaining a proper and effective lookout is probably the single biggest factor in many collisions between vessels"……. 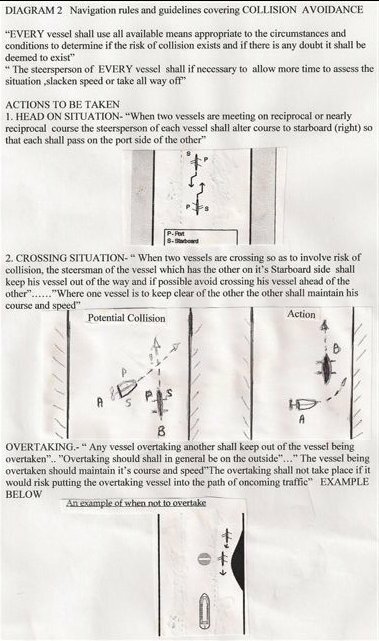 "A coxes first priority is the safe navigation of the boat more so than good balance or quickest racing line, Whatever is being said to the steersperson by the crew or coach , it is the steersperson who will be liable in the case of accident/collision (British Rowing)." Checklist for boat/equipment usage and safety.